Super Deals FREE DELIVERY ON ALL UK ORDERS OVER £75 ENTER PROMOTIONAL CODE SS17DEL AT CHECKOUT Only available on full price products. Not valid in conjunction with student discount or any other offer. 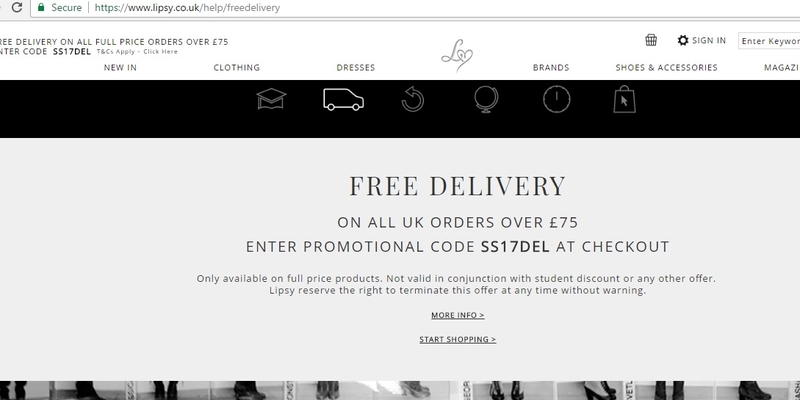 Lipsy reserve the right to terminate this offer at any time without warning.